"Welcome.....to Fright Night Theatre. OOOoooOOOOooo...."
Faithful attendees of Fright Night Theatre will no doubt recall the traditional opening words of our longtime host Jay Winger. With a homemade mask fashioned from a garbage bag and his infamous shiny pants, Jay would speak these immortal words -- delivered with all the cheese of a late night horror host -- to usher in each night's Fright Night Theatre audience to our unique blend of horror, comedy, and cult programming. However, it is with four years of unforgettable memories under his belt that Jay Winger has officially resigned from his position as Host and programmer with Fright Night Theatre. 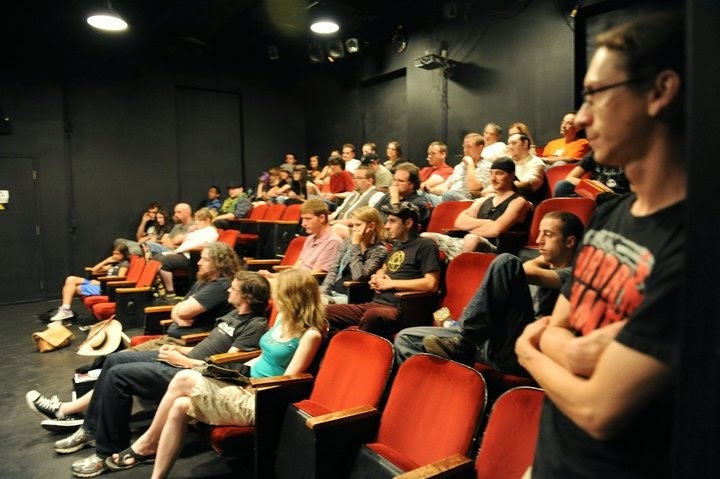 In a private statement to the Horror in the Hammer team, Jay explained that he would be leaving Fright Night Theatre as host and programmer, effective immediately. Jay has decided to devote more of his time to his website channeljaywebtv.com and film-making projects such as his various web series: the Horror in the Hammer-affiliated horror review show THE HOST and his parkour series 10 FEET (subscribe to both on Jay Winger's official Youtube channel). 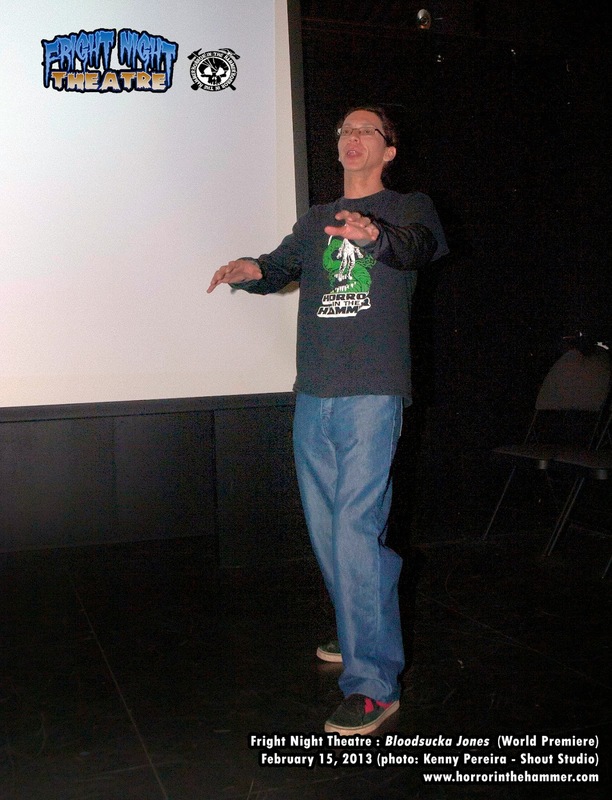 Jay will continue to dedicate his time to Fright Night Theatre as a volunteer and promoter as well as video editor. 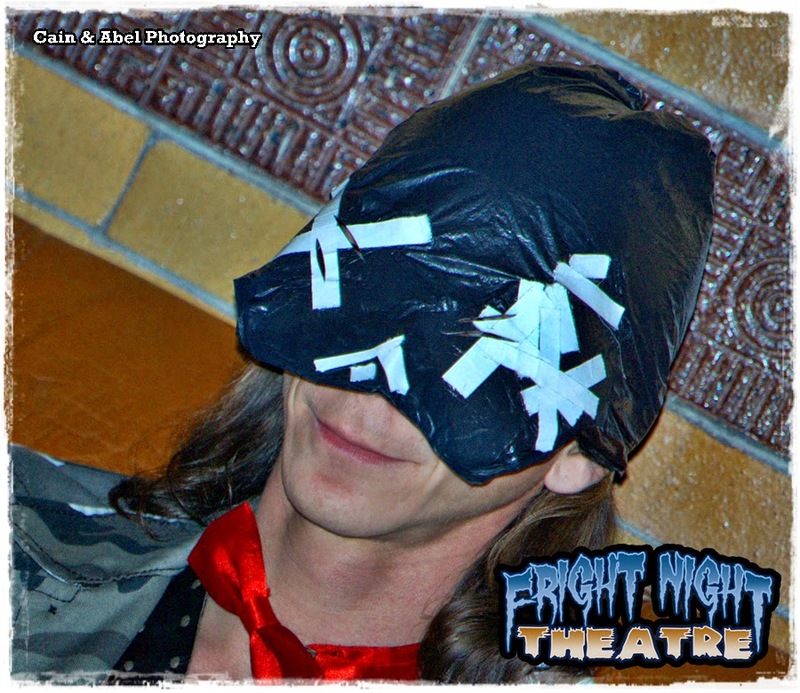 Jay Winger officially took over Fright Night Theatre in February of 2010 as sole programmer, acting director, and Host. During his reign, Jay brought such boundary-pushing and controversial films to Hamilton as THE RED SIN TOWER (dir. Fred Vogel), MARTYRS (dir. Pascal Laugier), WOUND (dir. David Blyth), and DEAR GOD NO! (dir. James Bickert). Jay's programming also inclined towards the hilariously cheesy, with fan-favorite screenings of films such as MEGA SHARK vs. GIANT OCTOPUS, MEGA PIRANHA, NAZIS AT THE CENTER OF THE EARTH, and SHARKTOPUS. And who could forget screenings of such classics as PUPPET MASTER III, FRIDAY THE 13th, CITY OF THE LIVING DEAD, METROPOLIS, DARKNESS, and DEMONS? Of course, independent Canadian genre cinema was always very close to Jay's heart. 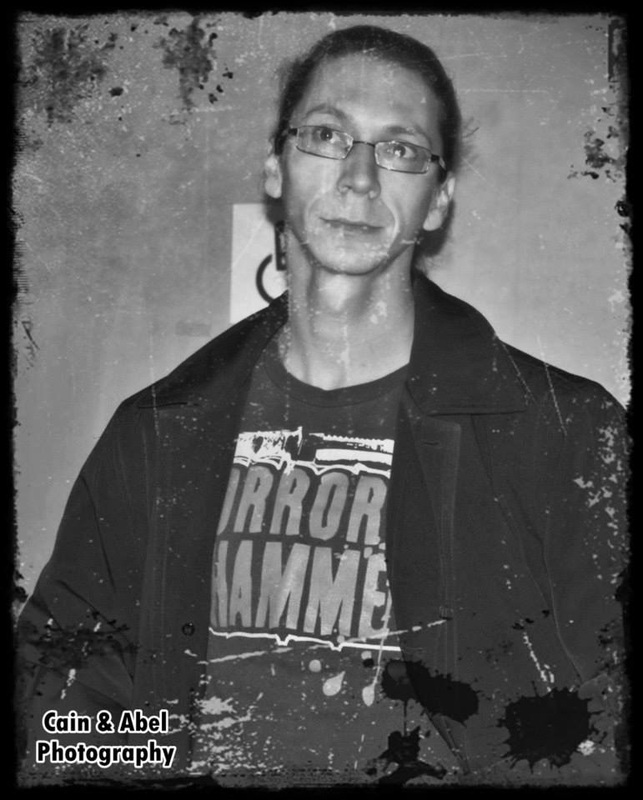 Jay was instrumental in bringing the works of Justin McConnell (THE COLLAPSED), Andrew Cymek (DARK RISING, MEDIUM RAW), Nathan Hynes and Chris Power (LONG PIGS), Chad Archibald (Neverlost), Torin Langen (TRASH), and Zach Ramelan (HOOKED) to the big screen of Fright Night Theatre. After November 2012, Jay stepped down as director but stayed on as programmer and Host until is resignation this year. Aaron Allen will stay on as director of Fright Night Theatre and share programming duties with Darrell Marsh. Thanks for all the memorable screenings, Jay! May the host live on to slay audiences another day.